3 items total. 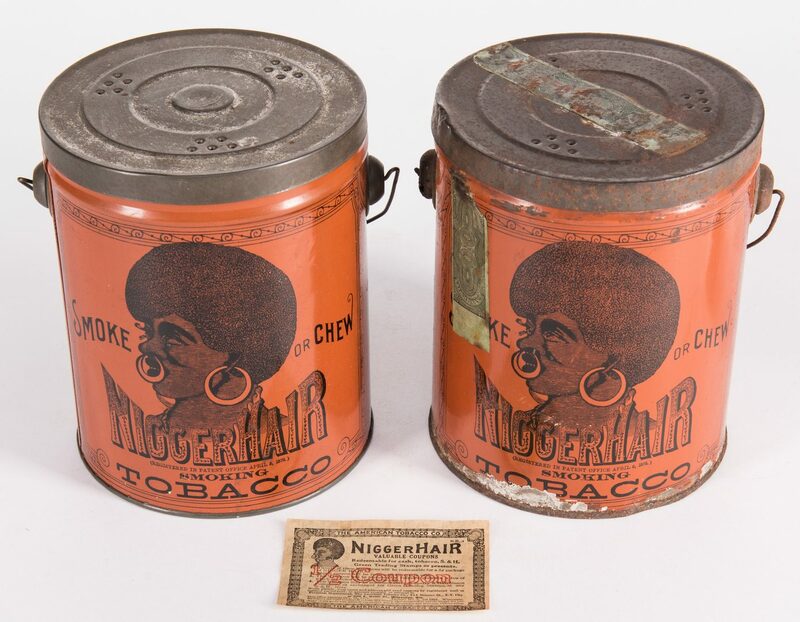 Two (2) early Black Americana Smoking Tobacco advertising tins with derogatory depictions of African Americans, round form with handle, orange grounds and black graphics. 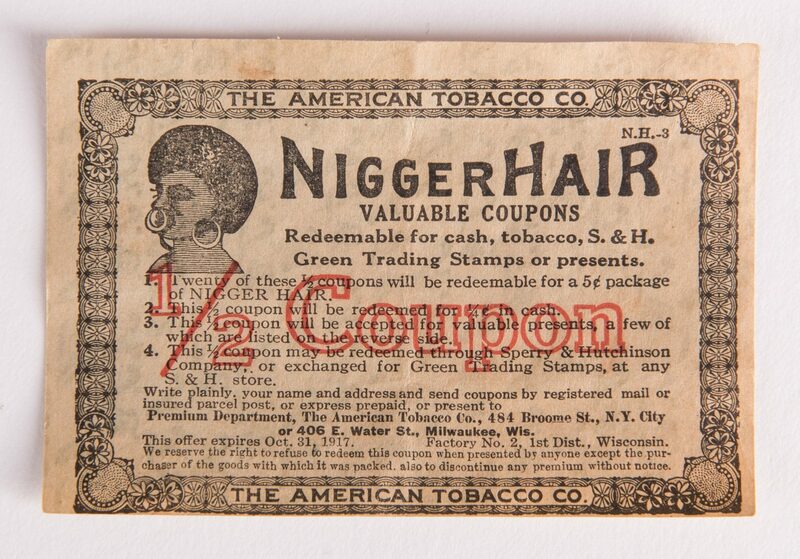 Lot also includes one circa 1917 Tobacco 1/2 coupon. Tins – 6 3/4" H x 5 3/8" dia. 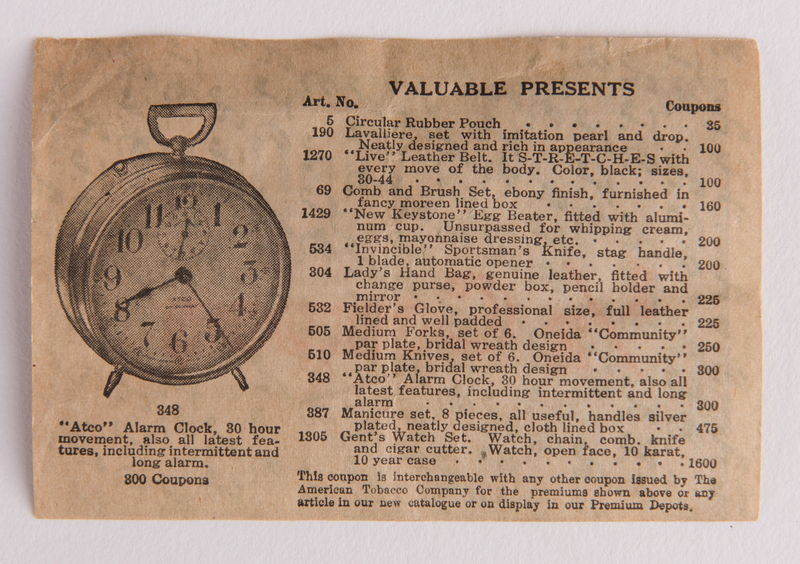 All items 1st quarter 20th century. Private Knoxville, TN collection. 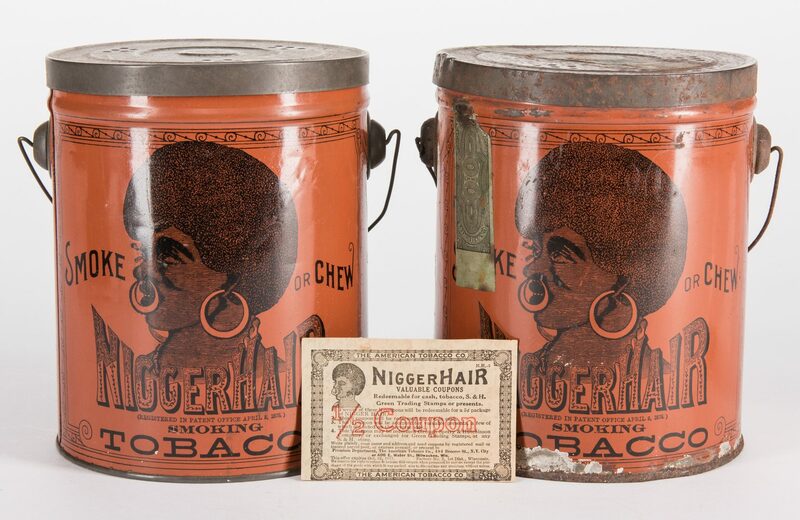 CONDITION: One tin overall very good condition, paint excellent condition, upper body with minor denting. The other tin with paint losses, primarily to side and lower bottom of base.